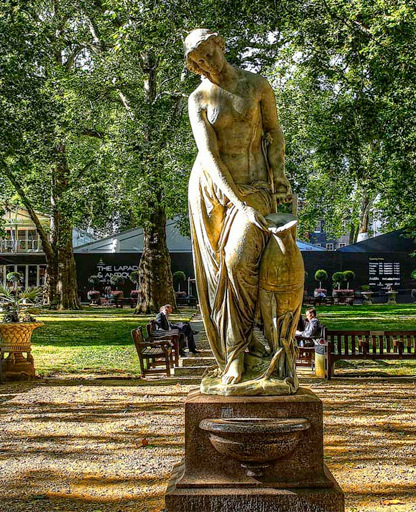 The RSMSJ is dedicated to maintaining the environment and quality of services in Mayfair & St James’s. 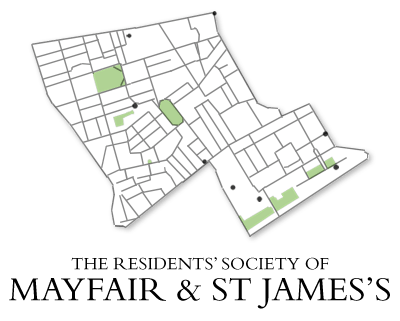 As the official amenity society recognised by Westminster Council, it represents the interests of residents to local government. It monitors proposed planning and licensing applications and responds to complaints from residents as well as working with the authorities to keep the neighbourhood a clean, safe and enjoyable place in which to live and work. Its chair and committee attend meetings to put your point of view with the Local Police Area Committee, NewWest End Company, Grosvenor Developments, Westminster Council, Westminster Forum and Crossrail. An RSMSJ Director also represents you on the newly formed Mayfair Neighbourhood Forum. This website allows you to comment on local issues and check on planning and licensing applications. It also organises public meetings on matters of concern to the neighbourhood. 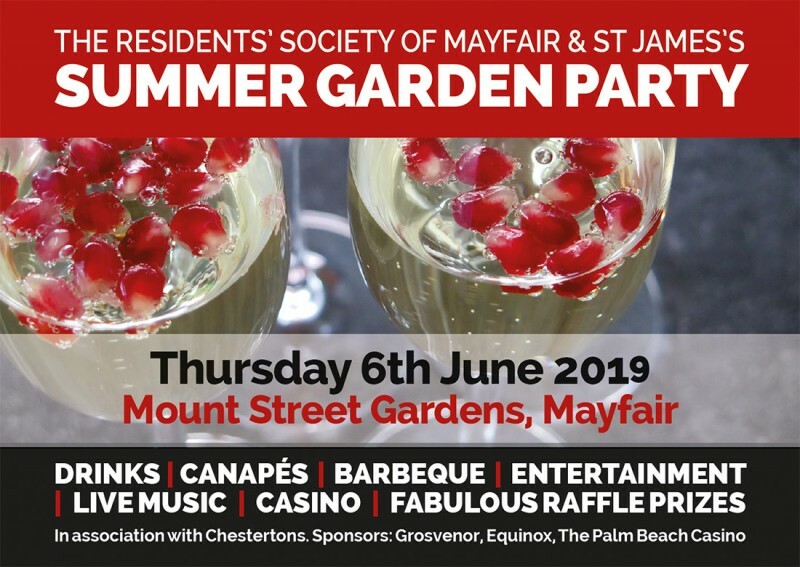 The RSMJ Summer Garden Party in June each year brings together residents, friends and businesses for enjoyment. It works with others in Mayfair to organise a multi-faith Christmas Carol Concert and other social events.